Awarded by the Wolfson Foundation each year since 1972, the Wolfson History Prize has become synonymous with celebrating outstanding history. Now in its 46th year, it remains Britain’s foremost history prize, promoting standards of excellence in scholarly history for a general audience. Peter Marshall's Heretics and Believers: A History of the English Reformation has been selected from more than 150 books by a panel of four eminent historians to win The Wolfson History Prize 2018. The overall winner has been announced! 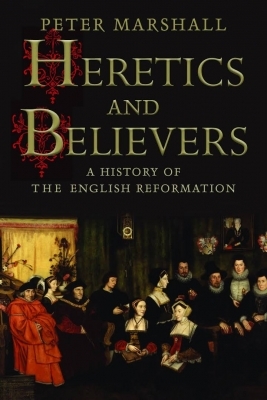 Peter Marshall's Heretics and Believers: A History of the English Reformation has been selected from more than 150 books by a panel of four eminent historians to win The Wolfson History Prize 2018.